When it comes to budgeting, many people have the idea that the goal is to strip you of anything and everything fun that you enjoy. The end of eating out and shopping. This is not the case. Its purpose is to give you a clear picture of how much income is coming in vs how much you have going out. It it is a crucial tool when it comes to creating a solid foundation that will lead to a healthy financial future. You will feel in control, which will allow you to get the full benefit of your money. 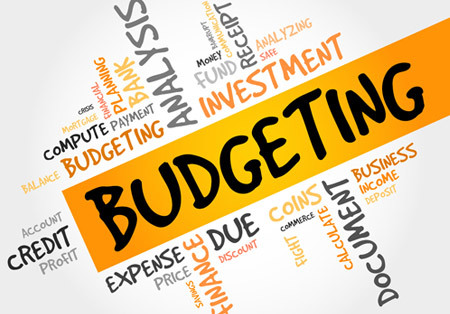 Below are 7 steps to setting up a personal budget. When it comes to creating, tracking and monitoring your budget, there are 4 methods. Each one is different, but they all are focused on details and organization. The pen and paper: This old school method still does the trick. You just jot down all your sources of income and all your expenses. The Spreadsheet: Excel would be the software of choice for this method. You can find free samples online so that you don't have to start from scratch. You can organize all the details easily and the math is done for you. Free software: Websites like Mint.com and Finovera are free and are great budgeting tools. These programs are great because they give you a clear picture of your expenses and your spending all in real time. Financial software: Quicken would be the most popular of this category. Sit down and give some thought to the goals you want to achieve with your finances over the next year. By doing this, you are setting yourself up to make the best spending choices. Many of us are on autopilot with no real idea of how much we really are spending. A few Starbucks a week can really add up. Take a few weeks and track your spending. Make a note of every cent you spend. You may be surprised to see how much money is going out the window. When you are contemplating whether to buy something or not, ask yourself whether your purchase will put you closer to your financial goals. Take a day before making a purchase and see if you still want it after you have taken some time. You also want to take the time to set up clear priorities for yourself. This will help your decision making process much easier. There will always be expenses that can arise at anytime. Whether it is new breaks or a medical expense, you should start up an account for these unexpected expenses. The next time you get something on sale or with a coupon, put those savings into this account. When it comes to your money, you want to feel like you are in control of it. Mapping out your spending will help you out with that. The 50/20/30 rule is a great place to start. 50% should be allocated towards essentials (utilities, housing, groceries etc), 20% towards savings (retirement, debt, and savings) and 30% to personal spending (travel, shopping, dining etc). Be sure to track spending by using any of the helpful smartphone apps for budgeting. As you start using your budget and it is working for you, you have one last step. You now need to closely monitor your budget to ensure it is still keeping you on target for your financial goals. Try to dedicate at least an hour a month to this. If you find that your numbers are off, try trimming off any expenses that you can. As you start having extra money to put towards savings, you can begin investing it.